Watch full Naruto Shippuden Season 19 Episode 17 English Dubbed full HD online. Naruto Shippuden Episode 410 English Dubbed online for free in HD. Gaara’s Third Eye observes the event about Team Fu discussing each other and Team Matsuri planning to get the scroll. 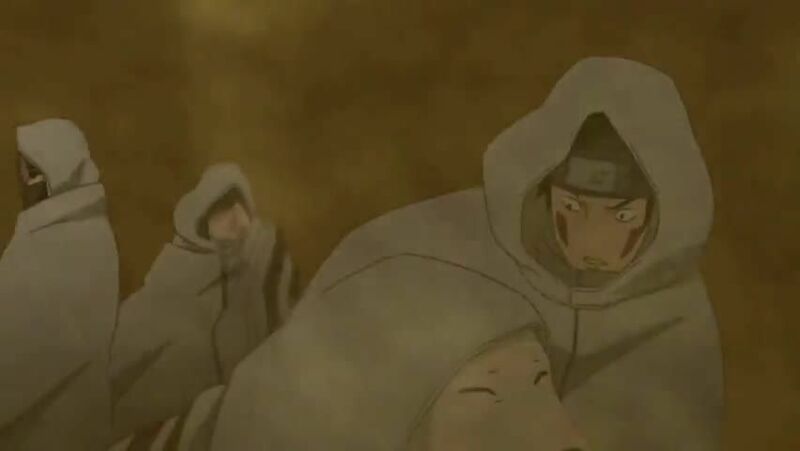 As Fugi and HÅichi plan to seal Shukaku in a tea kettle from Gaara, Fugi summons the sandstorm to engulf everyone that the siblings and other genin take shelter. As the headquarters notice the storm and the guards find Gaara’s sand clone at the office, Matsuri, Yukata and Mikoshi fall into the quicksand. Overhearing and rushing to rescue them, Fu recalls her past friendship with Shibuki and uses Blue Joro Spider to save them before Gaara tells her about Naruto. Fu keeps the earth scroll and leaves before HÅichi confronts Gaara.